The book takes a clear, step-by-step approach to building small, simple game projects. It focuses on short, attainable goals so that the reader can finish something, instead of trying to create a complex RPG or open-world game that never sees the light of day. This book encourages readers hungry for knowledge. It does not go into gory detail about how every little knob and dial functions - that's what the software manual is for! 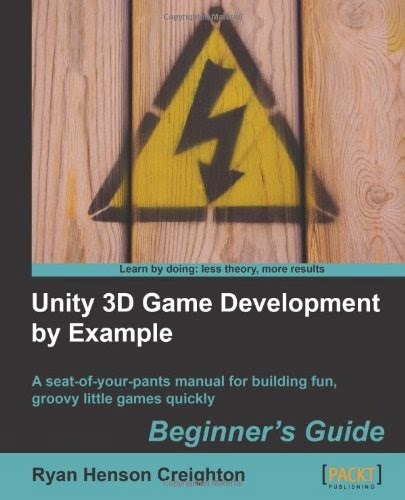 Rather, this book is the fastest path from zero to finished game using the Unity 3D engine. If you've ever wanted to develop games, but have never felt "smart" enough to deal with complex programming, this book is for you. It's also a great kick-start for developers coming from other tools like Flash, Unreal Engine, and Game Maker Pro.